Quadrel offers a full compliment of accessories and options, including rotary infeed and accumulation tables, three-panel wipe-down assemblies, remote powered unwinds and others. Please contact us to discuss your unique needs in more detail. 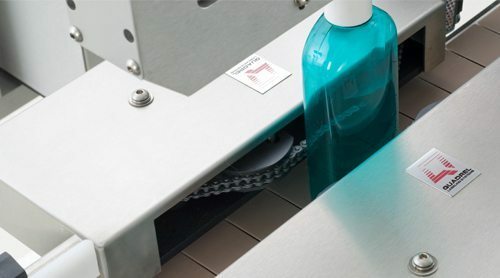 Quadrel’s chain aligner system orients various sizes of oval containers without the need for costly change parts. 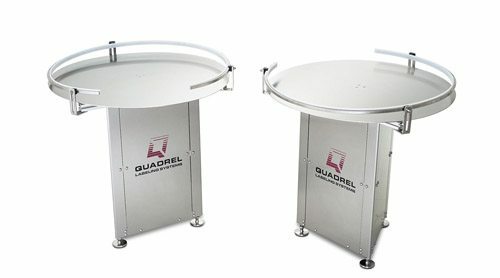 Quadrel offers rotary infeed and accumulation tables in 24″, 36″, 48″ diameters. 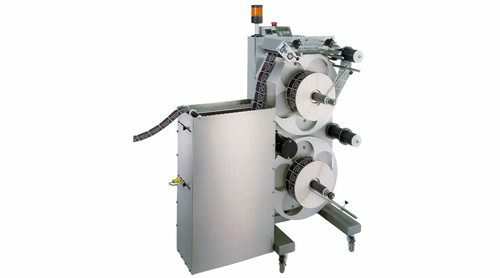 The R220 is a remote dual 20″ diameter powered label unwind with accumulation. 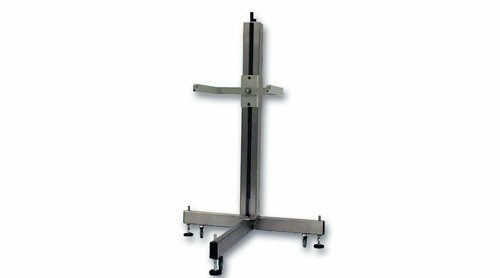 Heavy-duty, one-piece construction T-base stand with vertical and/or horizontal adjustments.